The staff were very friendly and helpful. The location is very good. Room was better than expected, budget but better than a lot of places I’ve stayed for a similar price. Beds were comfy and the breakfast was great. Car park was blocked off from the public so felt safer than leaving it on the road. Breakfast, the croissants were fresh and hot, toasts were as well. The location was perfect! Easy to get to and the room was very clean and comfortable. Queens Drive Hotel This rating is a reflection of how the property compares to the industry standard when it comes to price, facilities and services available. It's based on a self-evaluation by the property. Use this rating to help choose your stay! A 20-minute walk from the Emirates Stadium, home of Arsenal FC, this hotel offers bed and breakfast accommodations with free high-speed WiFi. 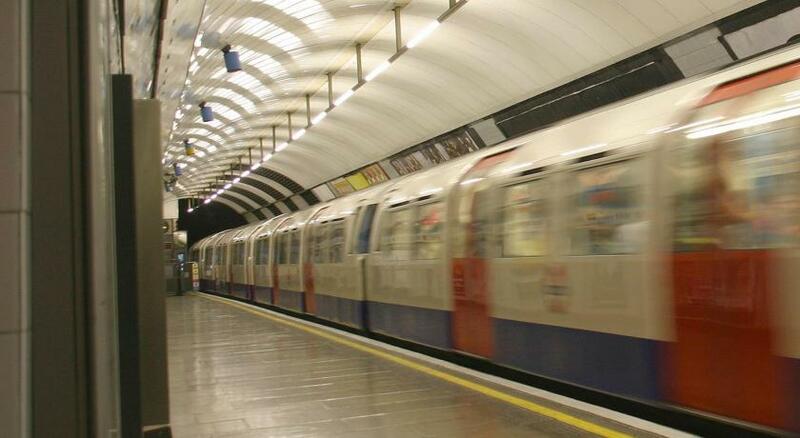 There is good access to the Piccadilly and Victoria Tube lines, providing links to London’s best attractions. Rooms at Queens Drive Hotel have simple décor, with wooden floors and tea and coffee making facilities. Each also benefits from a flat-screen TV and a wardrobe for storage space. Each morning, a choice of continental and traditional cooked breakfast is served in the bright and cheerful dining room. In addition to this, a range of cafes and restaurants can be reached within 5 minutes’ walk. Guests at Queens can try the Parkland Walk in Finsbury Park, which includes a long viaduct with panoramic views of London. A wide range of shops can be reached in less than 10 minutes on foot. Customers need to check in at The Pembury Hotel, behind Queens Drive Hotel, at 326-328 Seven Sisters Road Finsbury Park, London N4 2AP. When would you like to stay at Queens Drive Hotel? This quadruple room has a tea/coffee maker, flat-screen TV and electric kettle. House Rules Queens Drive Hotel takes special requests – add in the next step! Queens Drive Hotel accepts these cards and reserves the right to temporarily hold an amount prior to arrival. Customers need to check in at the Pembury Hotel, which is behind Queens Drive Hotel: 326-328 Seven Sisters Road, Finsbury Park, London N4 2AP. Parking needs to be pre-booked directly at the reception by emailing on reception@thepemburylondon.com Your booking does not guarantee you a parking space. Please note that this property is strictly nonsmoking. Guests found to violate this condition will be subject to an additional fee for extra cleaning. Please note that check-in and key collection take place at: Pembury Hotel , 326-328 Seven Sisters Road, London N4 2AP. Tiny sink with a tap too large. Can't wash or rinse your face without headbutting the tap or with the door closed. Two small taps would solve part of the problem, a larger sink would solve the rest. No chairs or any where to hang clothes. The rest of the house was in the process of being refurbished with mess around the ground floor. Average continental breakfast, Location good for the busses and café's. Liked the staff especially the lady at the breakfast section. Good service. They advertised smoking rooms but didn't actually have them at all. It was amazing value for the money. Good location to Tube station. Hardly any water came out of the shower and it took an age to warm up. Found blood on a pillow. Large hole in bathroom wall where a mirror should have been. Curtains were stinking dirty. Hotel looks like a building site as they’re doing work there. Didn’t like the hotel.Could hear everything from the room next door.The stairs were narrow and steep and it was abit creepy walking up to my room at night.The bathroom was tiny with no place to hang towels. The room was warm and clean and the location was good,only a 5 minute walk from the train station and it was easy to find. Very tiny room for three persons, not enough storage space, only three hangers for three persons for full cupboard. Good breakfast, ok location, clean. Failed to advertise that the hotel is still an active building site - noise from early hours, contractors were smokers (smoke came into the rooms), had to change room due to leak in ceiling. Room was not fully completed so should not be marketed. Attempted to obtain a refund on parking that was unused and was given the runaround about a non existent no-refund policy - dishonesty is unacceptable. Nothing to hand up clothes in the room, no towel hanger in the bathroom and nothing to hold toilet paper. Bad isolation, employees smoking at the very entrance of the building. The bed was comfortable. Direct Connection on the Victoria line. Our first room was disgusting the bed was dirty and the headboard was stained, the house was a building site, was offered a second room which was a twin the staff member helping us told to hurry up and was clearly unhappy. The second was ok although when shutting the curtains they fell down. We have visited alot of budget hotels over the years but would not recomend this hotel to anyone. There was some building work going on during our stay at the hotel. Tiny bathroom. Everything was terrible. Had to check-in in Pembury hotel and was then redirected to the backyard to another building. The room was horrible. Bed was okay but not very clean. Bathroom smelled really bad and was really small. When we were there they were building other rooms and we were NOT informed about that. We were woken up by builders every morning, and cement was falling through the fan into our toilet!!! Cleaning ladies were smoking in front of our opened window. The room was also very cold. Will not be returning. They say you get what you pay for, but this was really disappointing. The location is good, underground and bus station is only 5 minutes away if you walk. Underground lines are both victoria and picadilly. Second hand furniture. Bed was a cut down bunk bed. No water pressure on top floor, therefore unable to use shower in evening or morning. Steep, narrow stairs. Hotel in middle of renovation. Lots of rubble and trip hazzards outside and inside. Workmen started early in morning making very loud noise and banging. Breakfast a bit limited. It was a fairly comfortable bed. New bathroom (but unable to use shower due to no water pressure). Staff quite pleasant.